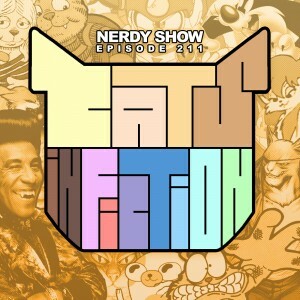 Welcome, cats and kittens, to a Nerdy Show Microsode! In this episode we gather under the light of a Jellicle moon to put on an impromptu “Naming of Cats”. But we’re not naming any old whiskered so-and-sos, no! We’re sharing our favorite felines in all of fiction – the most profound pusses in pop culture. From the many faces of Puss in Boots to the hepest 21st century cats. Hear Cap, Tony, Denika, Brandon, and Derpy Show‘s Chan caterwaul over distinguished kitties from mythology, literature, comics, video games, cartoon, film, and TV. Who are the finest feline femme fatales? What’s The Aristocats‘ strange secret? What sounds other than “meow” do cats make? We pounce on all this and more in this special episode sponsored by indie game studio Gamawilo and their upcoming game Cat-Shaped Life! Who are your favorite cats in fiction? This humble Microsode can’t contain ’em all! Let us know your favorites in the comments or on the forums!